When it comes to deploying a Windows guest as a virtual machine on Oracle's ODA, the documentation is lacking. After some research and trial and error, I was able to put together a process that will successfully install Windows. The ODA utilizes the oakcli command line, so OVM is not an option. In this post, I will walk through the steps needed to prepare and deploy a Windows 7 virtual machine. Here is a high level summary of the steps. NOTE: For the purposes of this example, all logins for Dom0 and ODA_BASE are on node 0. First, we need to log into Domain 0 (Dom0) and create an empty unformatted virtual disk image. The image file name must be System.img. In the example below, the file size is fixed at 50G. In the same staging directory, create a vm.cfg file with the following content. The "boot" parameter is set as "dc" which sets the CDROM first in the boot order. The "disk" parameter names the System.img file created above as the device "hda" in "read/write" mode. Before the Paravirtualized Drivers(PV) get installed, the "vif" parameter needs to be set with a type of "ioemu". Later, when the VM is started, a vnc session for the console will be started. The vnc port is set in the "vfb" parameter with a vncdisplay of 10. The 10 sets the port to 5910. A value of 1 would set it to 5901. The next step is creating the tar file containing the two files created above to be imported. There are default repositories created as part of the ODA_BASE. The repos "odarepo1" and "odarepo2" are local repositories and will not allow VMs running from these repos to fail over to the other node. To avoid this, create a shared repository. NOTE: Once you create the repo, the size cannot be changed, so plan accordingly. Log on to ODA_BASE and run the following command to create a 150GB shared repository in the DATA disk group. Now the environment is set up to import the template. Login to ODA_BASE as root and run the following command. Once the template has been imported, the VM can finally be cloned. Using the vmtemplate, run the following command on ODA_BASE. Copy the Windows installation iso file to a staging location on Dom0. Then modify the file /OVS/Repositories/odashr/VirtualMachines/vm_win7x64/vm.cfg on Dom0 by adding the iso as a CDROM. Below, the iso file /OVS/staging/X17-24281.iso has been defined as device "hdc" and made read only. Now start the VM by logging into ODA_BASE and running the following command. Once the VM starts, log onto Dom0 and attach to the console with a VNC client using the vnc port defined above. In our example, the port is 5910. From the VNC console, you need to install Windows. After the installation is complete, log into Dom0 and modify the /OVS/Repositories/odashr/VirtualMachines/vm_win7x64/vm.cfg file. Change the boot parameter from "dc" to "cd". This will name the boot device to the virtual hard drive rather than the CDROM. Log into ODA_BASE and restart the VM. Now attach to your vnc session again and configure the network settings for the VM guest as per your requirements. Once the network is configured and functioning, you can download the Windows PV Drivers to the guest and install them by running the executable. As of the date of this post, the PV drivers can be downloaded from edelivery.oracle.com. 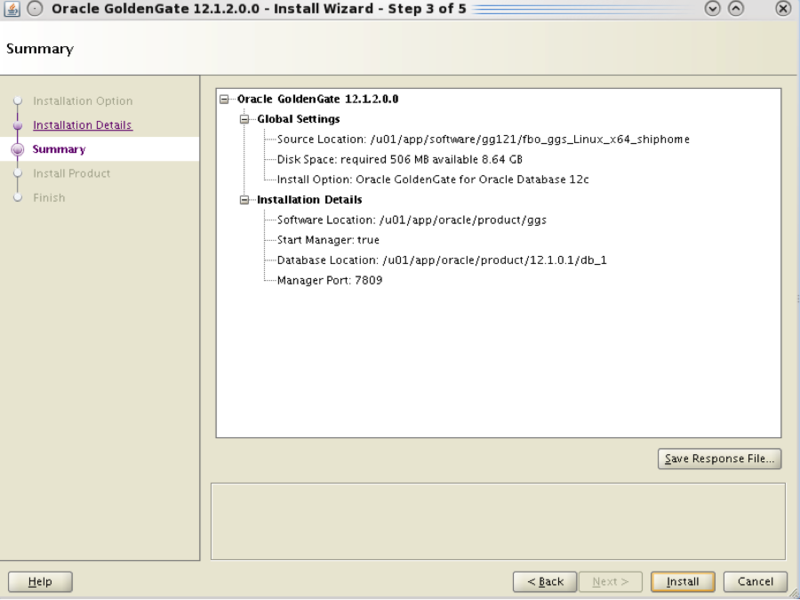 Go to "Cloud Portal Oracle Linux/VM", and enter "Oracle VM" for the product pack and "x86 64 bit" for the platform. After the PV drivers have been installed, modify the /OVS/Repositories/odashr/VirtualMachines/vm_win7x64/vm.cfg file by changing the "vif" parameter as follows. Now restart your VM, and the guest should be ready for use. If you want to by-pass using the vnc session, configure remote desktop and connect to the console. There's nothing much more frustrating than knowing how to tune a query, but being unable to due to one or more third party views that cannot be modified. A great way to work around this is by using Oracle's global hints in the main query block. This is accomplished by referring to the view name and the table name with this format /*+ hint(view.table) */. According to Oracle's documentation, however, the optimizer ignores global hints in this format that refer to multiple query blocks. So if you wanted to use the "leading" hint with more than one view like this /*+ leading(view1.table1 view2.table2) */, Oracle will not utilize your input, and you will be left banging your head against the wall. Luckily, there is another format for referencing these query blocks, but it takes a little digging to get it right. In the following example, I will create a table with a view that references it along with another view on the ever famous "dual" table. These two views will be joined in a query and we will see what options there are for manipulating the execution plan without changing the views. Here are the table and view statements to set up the example. After running the query, we can take a look at the execution plan chosen by the optimizer with the following script. The plan shows that DUAL is the driving table and a nested loop is utilized to access the ORDERS table via an index. Now, if we want to force the optimizer to use a full table scan on the ORDERS table, we can throw in a global hint that references the view and the table. As you can see from the execution plan, the optimizer follows the directive and a full table scan is performed. If we try the same approach with the "leading" hint which references more than one query block, Oracle is not so cooperative. After running this example, we see that the "leading" hint is ignored and DUAL is still the driving table. In order to give the optimizer the information it needs in this situation, we need to change our "DBMS_XPLAN" script so it will include the "alias" and the "outline" information. In the "DBMS_XPLAN" script below, I have also eliminated the "predicate" and "note" data. In the output above, the operations are numbered in the execution plan. These numbers correspond to the numbers identifying the query block and object alias. These two query blocks and aliases are found in the outline section with a leading hint. This leading hint can be modified by listing the ORDERS table first as shown below and using the ORDERS alias in the full table scan hint as well. The optimizer now accepts the hints and executes the query as directed. If you are running Oracle on Linux, there is a handy little utility called logrotate that can be used to manage those unwieldy alert logs and listener logs. I recently worked on a client's database, and their alert log had information going back four years. When trying to examine the log with vi, it would take several minutes to open the file due to it's enormity. To help them out, I used this simple little tool to keep the files in check. As root, I simply created a new file in /etc/logrotate.d on each RAC node called ora_cleanup. The example below is from node 2. This will copy the alert log with a numerical extension and truncate the existing file. It performs this monthly and keeps 13 months worth of log information before deleting old files. The listener log grows much faster, so it is configured to rotate weekly and keep 53 weeks of files. The copytruncate parameter is important for the listener log because the listener process holds an open handle on the existing file. After a few months, this is what the managed files look like in their directories. 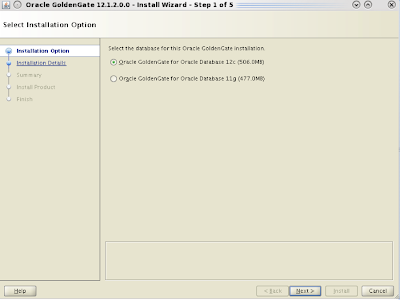 With the new features of GoldenGate 12c and the architectural changes brought on by the multitenant databases, there also come some new requirements for configuring replication. In order to create an extract process for a multitenant database, it must be created at the root container level with a "common" database user and must be defined to run in the "integrated" capture mode. Replicats, on the other hand, must be created at the pluggable database level and can be defined to run in either the "classic" or "integrated" modes. Below, I will step through the configuration of the databases, extract, and replicat for a multitenent environment. In this example, there are two databases sharing a host, so there is no pump and there is only one GoldenGate environment. Preparing the source database includes the creation of a "common" user, adding supplemental logging at the database level, enabling flashback query, and properly setting the streams_pool_size init parameter. On the source, enable supplemental logging in the root container. On the source, enable flashback query by setting UNDO_MANAGEMENT to AUTO and UNDO_RETENTION to a value that makes sense for your environment. 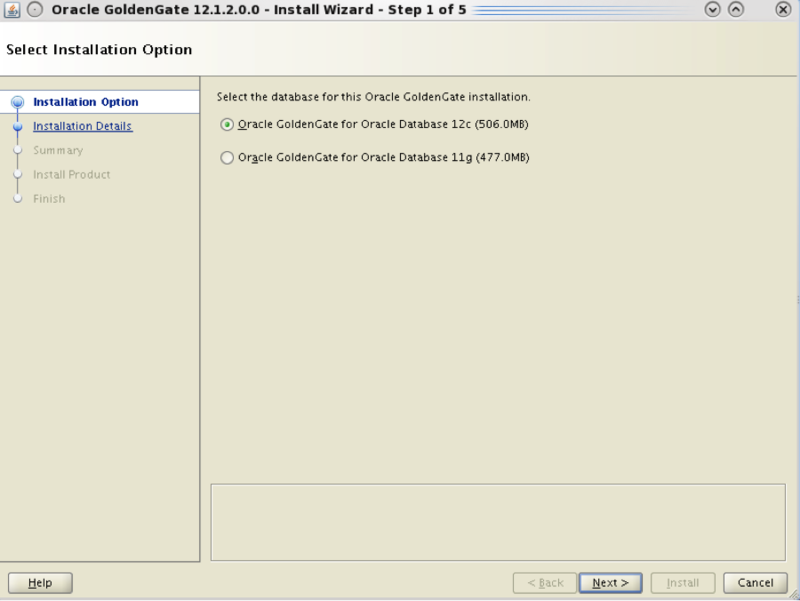 On the source, create a common GoldenGate admin user in the root and pluggable databases. Each extract process will use 1G of the streams pool. 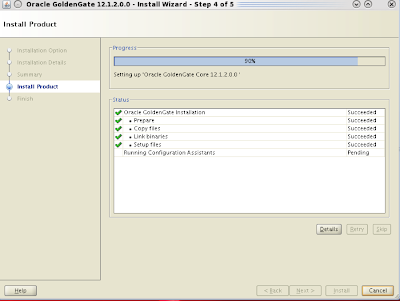 Make sure you add space to the streams pool based on the number of extracts in your GoldenGate environment. On the source, create the extract parameter file ./dirprm/e1aa.prm. Notice that the TABLE parameter must include the container name along with the schema. Alternatively, the SOURCECATALOG parameter may be utilized. Examples of both are in this file. If configuring an integrated replicat, use the required LOGALLSUPCOLS parameter in the extract to capture the before and after values of the primary key, unique indexes, and foreign keys. On the source, start GGSCI and add supplemental logging for the objects to be replicated, create and register the extract, and create the trail file. The name of the container must precede the schema name. 2013-12-24 08:52:01  INFO    OGG-01788  SCHEMATRANDATA has been added on schema scott. 2013-12-24 08:52:02  INFO    OGG-01976  SCHEMATRANDATA for scheduling columns has been added on schema scott. Extract E1AA successfully registered with database at SCN 2139002. 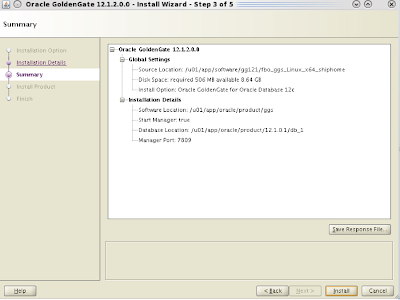 On the target, create a local GoldenGate admin user in the pluggable database. On the target, create the replicat parameter file ./dirprm/r2aa.prm. There is no need to create a checkpoint table for a replicat in "integrated" mode. Again, the MAP parameter must include the source container name. This may also be accomplished with the SOURCECATALOG parameter. Examples of both are in this file. On the target, create the replicat. Successfully logged into database PDBORCL2.